There's nothing like a guy in a tie. I'm not talking about those stuffy, business meeting ties that populate boardrooms and cubicles, either. It's been a bit of a challenge finding the right tie for my guy these past couple of years. Luckily, I stumbled across Cyberoptix Tie Lab. 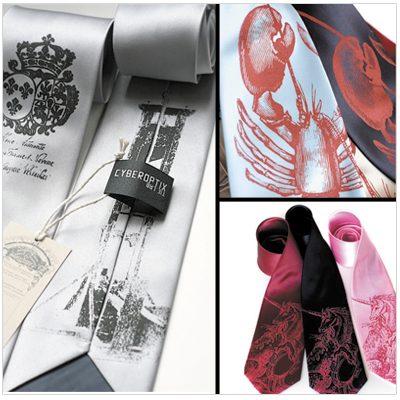 Each tie, silkscreened to order, is a hip but understated statement. You can also get these in different widths: regular, narrow, and skinny.